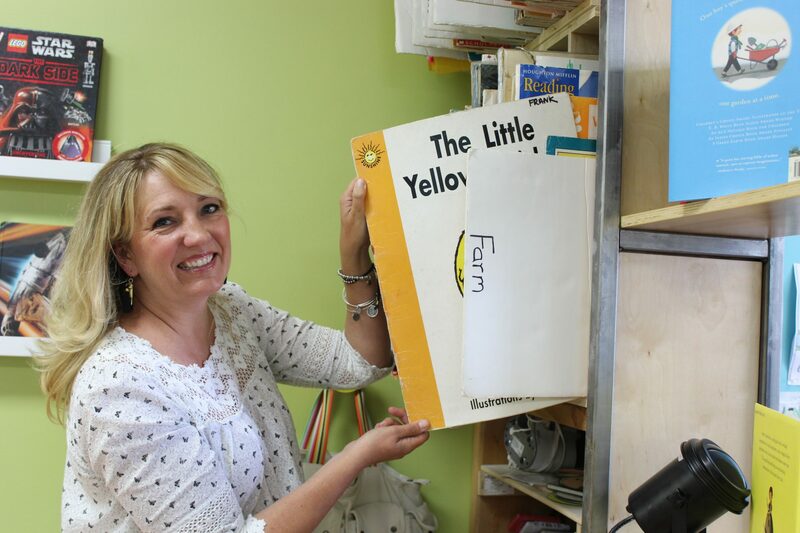 Tracey Frank, owner of Club Literacy, uses her passion for reading and writing to help children. Tracey Frank, a Dana Point resident, has been using her passion for reading and writing to help children for more than 20 years with her business Club Literacy. Club Literacy is an educational center dedicated to developing the reading and writing of children in pre-K through fourth grade, integrating Frank’s research-based practices and strategies. “Essentially, I wanted to create a really cool learning environment where children felt safe, and promoted literacy,” Frank said. After she won a scholarship to Australia, which allowed her to see how teachers worked there, she was inspired to do something on her own. “I thought about starting a school,” Frank said. Rather than a school, she opened Club Literacy. She started the business in Newport Beach, where she was teaching first grade at the time. After she had her two children, she relocated the business to Dana Point. “I wanted to be closer to home, to do more with my children and be more involved with their school,” Frank said. Now, after five summers in the Dana Point location, Frank is holding an assortment of classes throughout the entire year. She uses ABC books, fairy tales, poems and parodies to help the younger readers learn their ABC’s. Frank holds classes for additional reading readiness skills for kindergartners, classes that incorporate puppetry, cooking, character dress-up and more. But, it’s not all about reading. Frank holds classes that offer multisensory activities to help kids with numbers. They use humorous tales, poems and more to provide a unique and kid-friendly problem solving opportunities. Throughout the year, they also hold special events to celebrate authors and offer free story times. Frank also offers a class where children are able to create a published piece of work. She explains the hardback picture books are work that the children have a lot of ownership in. “When they’re printed, we have a little party and they get dressed up and read their books,” Frank said. Looking ahead, Frank said she’s excited to expand creatively and connect with networks of authors and organizations. “We engage them with education about authors or illustrators and they understand it,” Frank said. She explained if it’s an author’s birthday, she might pull their picture up on her phone and they’ll discuss the author and read some of their work. Outside of the classroom, Frank is part of a program called the Book Fairies. She takes books and places them throughout the city with hopes of children reading and sharing them. For more information about Frank and registration for Club Literacy, visit www.clubliteracy.com.